I have some updates to the hallway to share! It’s practically done except for the little finishing touches (hardware, paint, etc.) now! 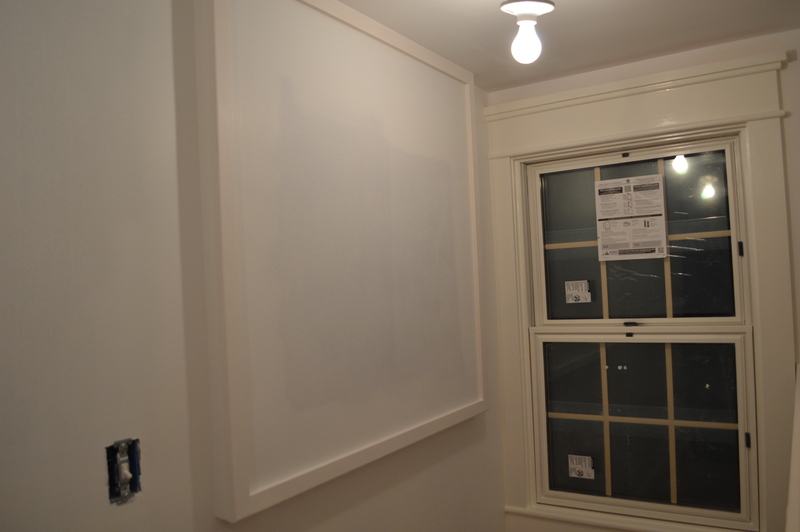 First of all, we installed lighting underneath the cupboards. This way we can 1) fold laundry in the dark, and 2) have a sort of ‘night light’ effect if we need to light the hallway without having the ceiling lights on. 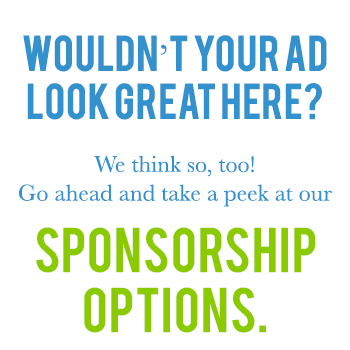 Next is this big box jutting out of the wall. 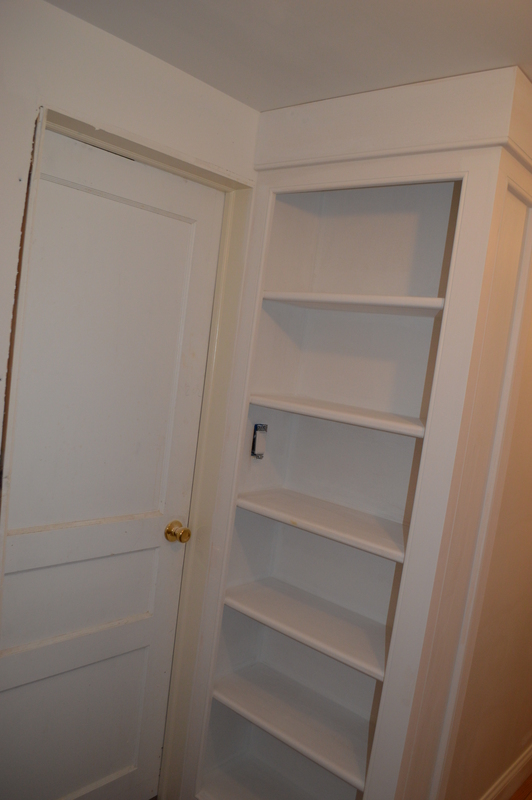 It comes from the medicine cabinet in the master bath– I wanted an extra deep medicine cabinet so I can fit everything I’ll ever need in there, but we couldn’t make the walls extra deep so it kind of just sticks out. 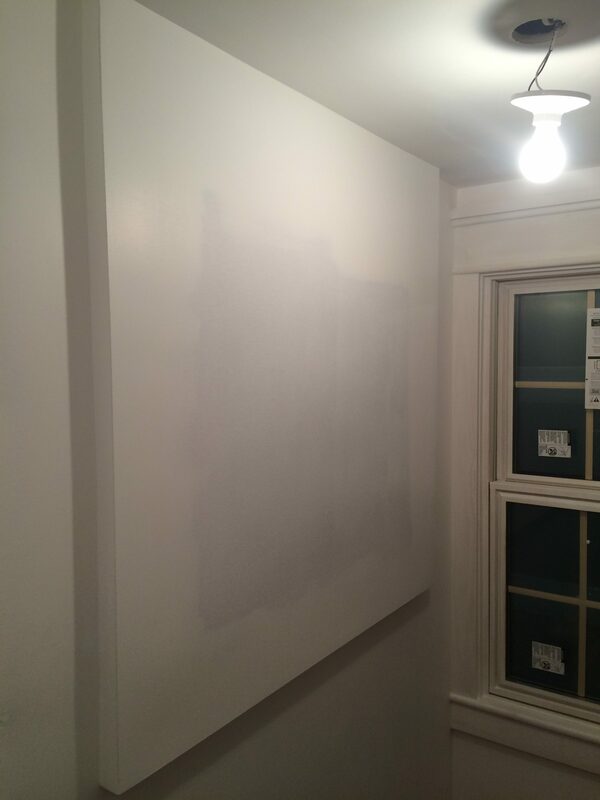 In the below pictures, you can see that we framed out the box and are going to paint it with dry erase paint. Soon it will become my dry erase board… I’m not sure exactly how I’ll use it yet but I’m excited to play around with it! 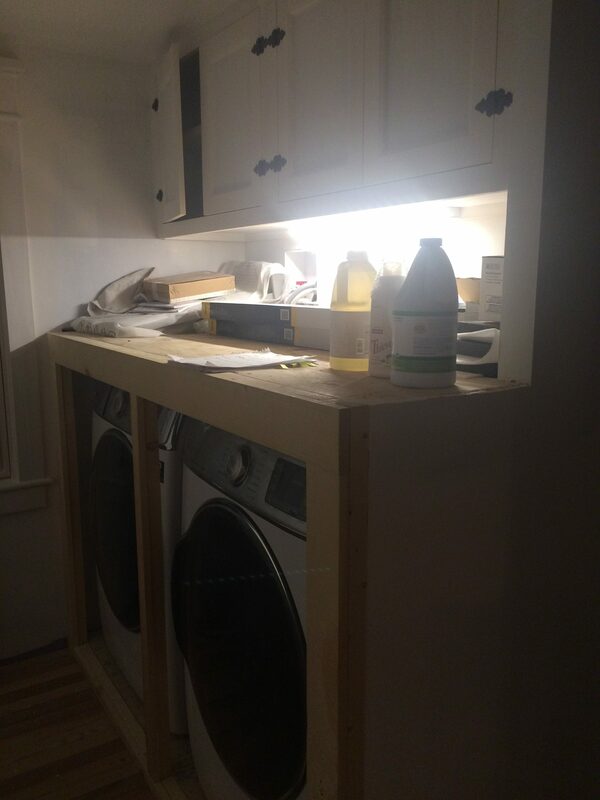 Also below you can see the new folding doors over the washer and dryer. Didn’t those folding doors turn out well? 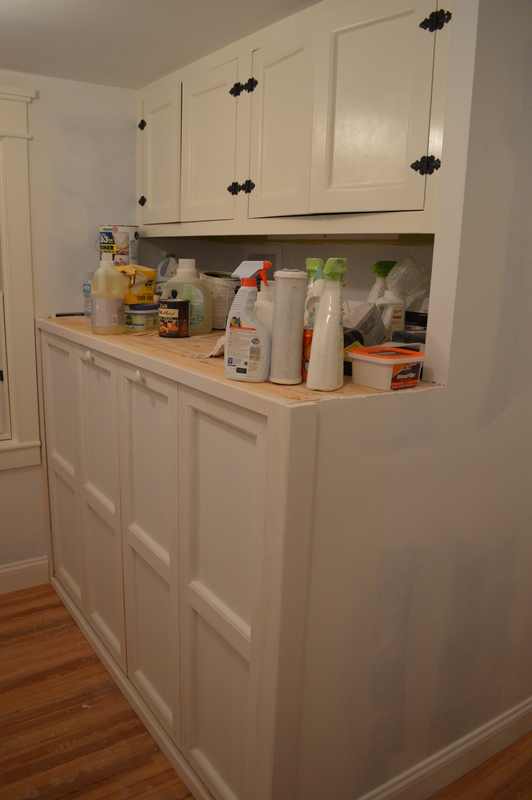 The panels match the cupboards above. They hide the washer/ dryer but the knobs make everything really accessible. 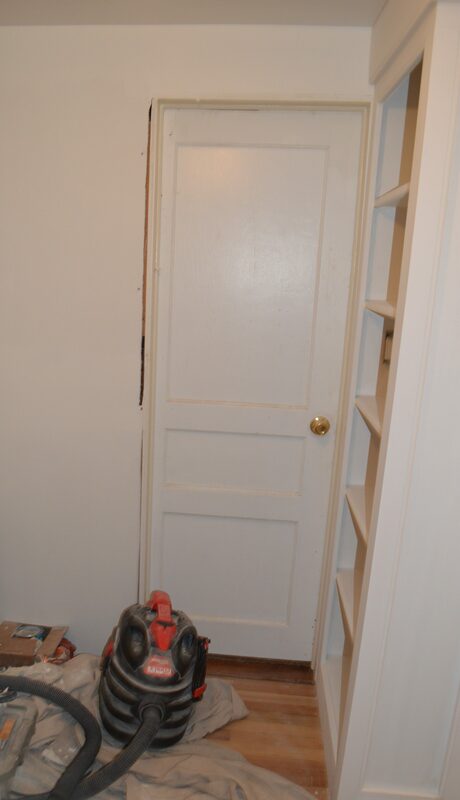 In the next pic below are the new paneled doors for the linen closet!! I’m loving how these turned out! 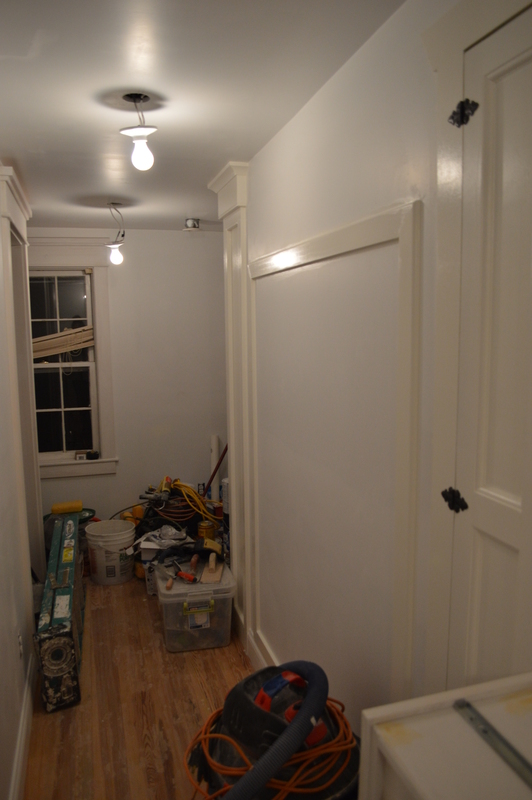 I didn’t want standard doors because they’re kind of boring… I think these give the hallway/ house much more character. 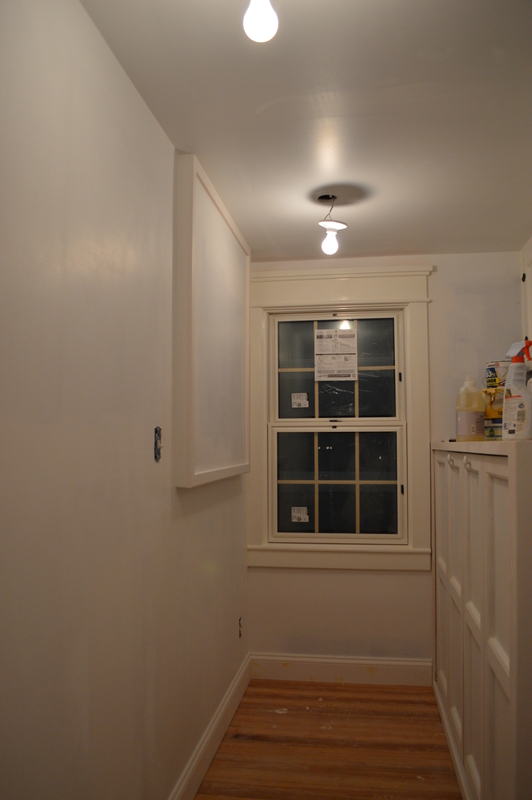 Beside the new linen closet, in the long hallway, is what’s going to be a giant chalkboard painted onto the wall! 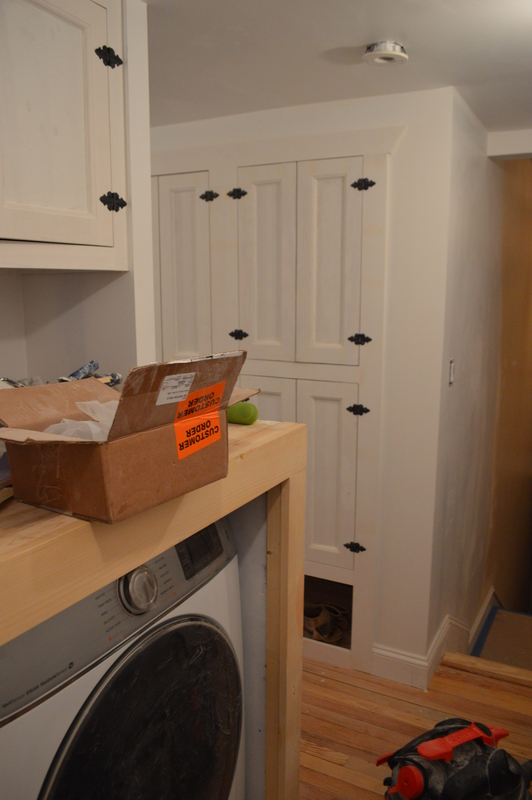 Here you can see the future chalkboard with the linen closet from the other direction. 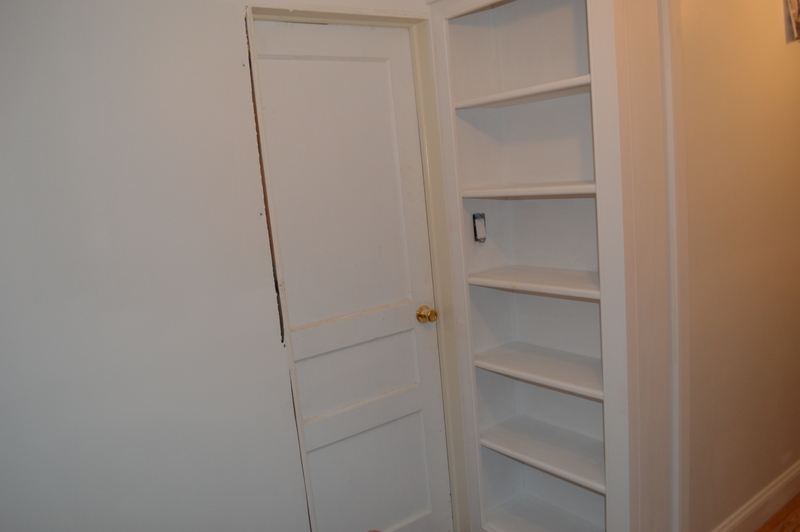 Just behind the future chalkboard wall is a built-in bookcase that is right up against the door going to Evie’s bedroom. It’s a simple bookcase but I love how in my grandparents’ old farmhouse, there are bookcases built in everywhere. It makes a house more comfortable to me to have bookcases filled with well loved books. 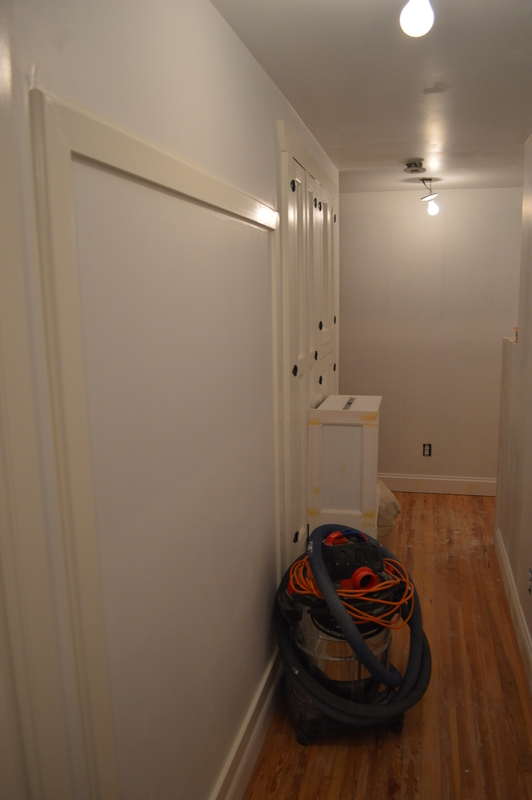 Just think– the next time I’ll post pictures of the hallway it will be all done! We’re so close!! Previous postTiling the Master Bathroom Next postThe Chickens Pay Their Rent...Finally! Brilliant idea to have chalkboards. What fun Evie will have drawing on the “wall” without getting into trouble. And mom, too. Love you all.